When the SHTF, the power grid will ultimately fail, regardless of the long term disaster incident. We have prepared to live without a lot of things when readying for a doomsday disaster: electricity, running water, emergency responder services, and using the dollar bill as currency. One thing we will not be able to live without is protein. Going to a grocery store to replenish our long term storage food stockpiles when they run out, will obviously not be an option. Once the masses grasp the SHTF, the store shelves will empty in hours, and not days, as FEMA so often predicts. Nearly all preppers have purchased copious amounts of long term storage food and plan on growing some type of a garden to supplement the food needs of their families and/or mutual assistance groups. But unfortunately, far too few of our prepper brothers and sisters have delved deeply enough into the keeping of livestock in an effort to develop both a secure protein and dairy supply. 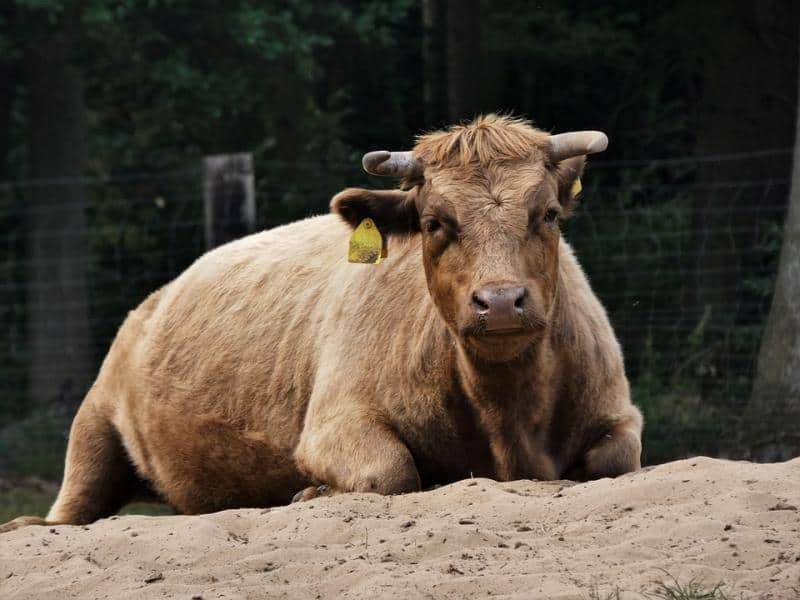 Whether you are living on what will be your survival retreat now, planning on bugging out to a predetermined location, or will be bugging in inside your urban, suburban, small town, or rural home, there ARE livestock breeds you can and should be keeping. OPSEC priorities should not deter you from keeping livestock – you just have to make smart choices when choosing both types and breeds of livestock and when making location decisions concerning their housing and feeding areas. 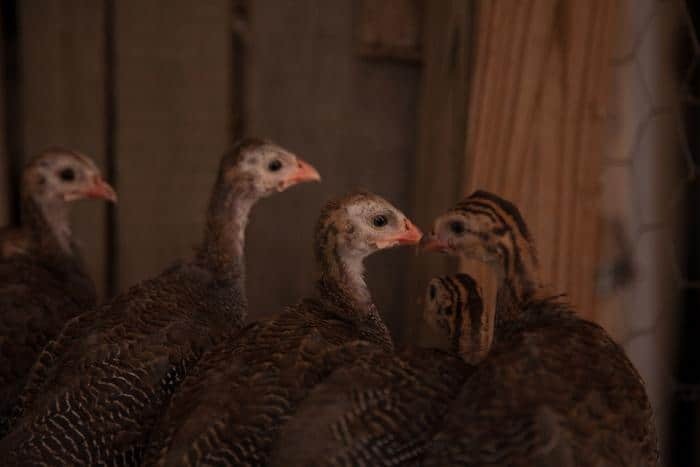 Stock up on commercial bags of feed, hay, straw, and dehydrated produce from your own garden to winter over your breeding pairs and to ensure the animals are well fed if they have to be penned, stalled, or moved indoors for OPSEC reasons. This is a superb choice for a prepper living on a small survival compound or planning on bugging in anywhere but an urban setting. Some chicken breeds are decidedly more quiet keepers than others. 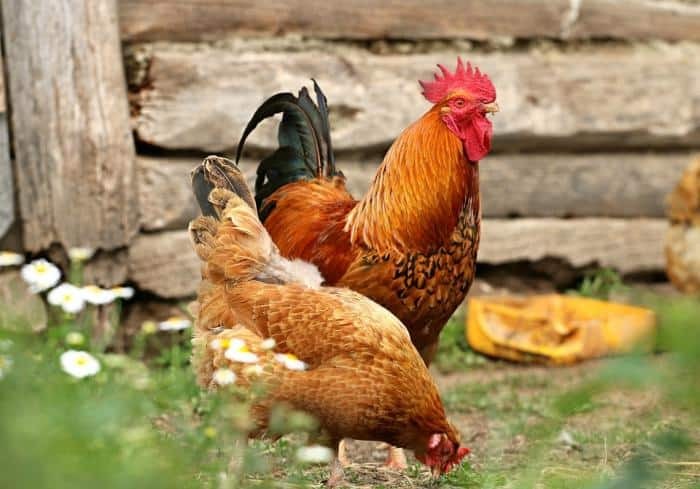 Roosters are the noisy part of the flock, and you really only need two to ensure the long term viability of your flock – it is always best to have a backup rooster in case the lead rooster is killed – the prepping redundancy concept should always apply to your livestock as well. To prevent roosters from fighting each other as much as possible, raise them together as hatchlings, this ALMOST always works. Bantam roosters are not large and are far more quiet than most other breeds of roosters. Chicken are capable of doubling their numbers in just a single year – providing your both an ongoing source of meat and eggs. They area low maintenance variety of small livestock that can be easily moved into your garage to live inside a coup with a small run after the SHTF, for OPSEC reasons. The chickens will help create great composting material to cultivate a bountiful harvest and can be placed inside a “chicken tractor” and run up and down the rows of the garden to eat non-beneficial bug to protect the crops being grown to feed the family. Allow the chickens to free range until the SHTF so they feed themselves the bulk of their diet and rid your yard of bugs at the same time. Because the chickens will not be staying in their chicken run overnight, it does not need to be a secure as the coop, making it very inexpensive to construct. Build as large of a run as both space and budget allow so the birds can be house inside during a doomsday disaster, and still be able to feed themselves as much as possible. Put a compost pile inside the run and toss kitchen and garden scraps into it to entice the birds to walk about and feed themselves while placing the nutrient-rich droppings in the soil. This is another great choice for preppers on a small compound or who are bugging in inside a traditional home. They are as inexpensive to purchase as chickens, take up very little space, and reproduce rapidly. Neither rabbits nor chickens require advanced butchering knowledge or expensive tools too skin or cut. Rabbits are more quiet than chickens and can also be moved indoors (even live inside an apartment pen!) when the SHTF. 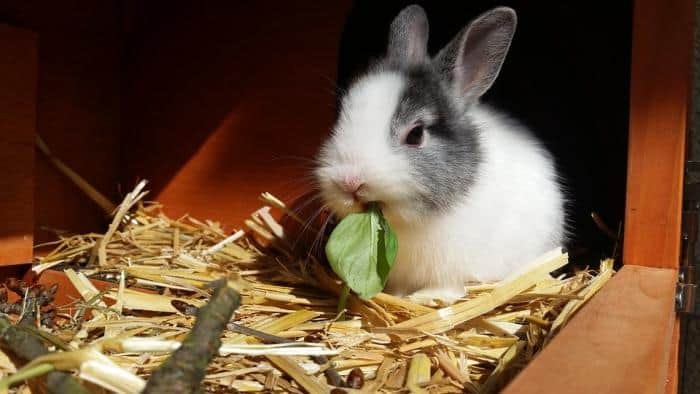 Oddly enough, rabbits that have been solely housed inside a pen and never been fed grass, often become ill and even die, if allowed to have a ground level run. Build a ground level run onto your pen when purchasing young rabbits to become breeders so they are introduced to a natural feed from day one. The rabbits can be placed inside the chicken tractor and moved about to dine on available grass to ensure they will always have access to sustainable (and free!) feed after the SHTF. Build a compost bin beneath the rabbit hutches to cultivate even more nutrient rich soil. Growing food in containers, inside a greenhouse, and in your home will vastly increase the amount of crops you can produce and prolong the growing season – rich compost will help the seeds and plant reach their full potential. 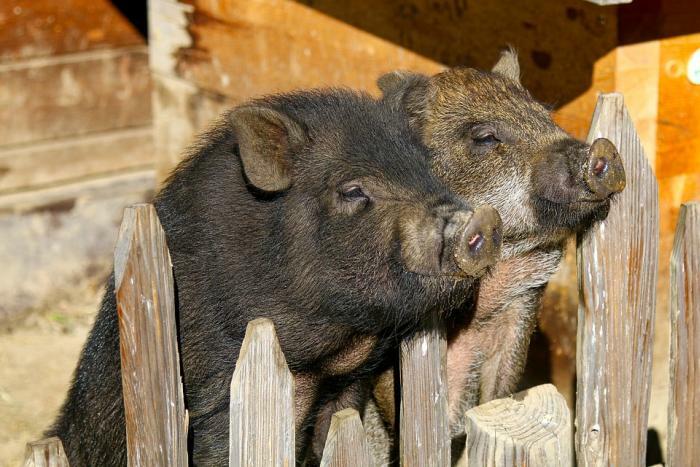 Hogs (the label hog and pig are both used to describe swine) will eat just about anything and root around non-stop on low quality ground to find their own food – one of the reasons they will make awesome SHTF livestock. Pigs might grow to be extremely large, but they do not need a pasture, or even a big pen. You need to build a sturdy, very sturdy, pen large enough to humanely house the hogs, but you do not want them roaming about a vast area and losing their bulk. If you purchase a “weaner” a young pig or piglet, during the spring, it will reach butcher weight (about 25 pounds) by the fall. Ideally, you should only winter over your breeding pair to reduce the feeding and housing burden. One bore and two sows, three if you have space, is good breeding pair ratio. Butchering a pig is a lot of work and does require some means of hoisting the hog into the air while the cutting is completed and/or the pig is scalded. All the hard work does not come without a savory reward. Nearly every single inch of a pig is edible – even the skin! One hog could supply a family of four with enough meat to last almost all winter – when the entire animals is used for its meat, head cheese, tongue loaf, and stock. If a 225 pound hog was roasted, and only conventional meat cuts were consumed, it would provide about 275 entree servings. Like chickens, ducks are a source of both meat and eggs. 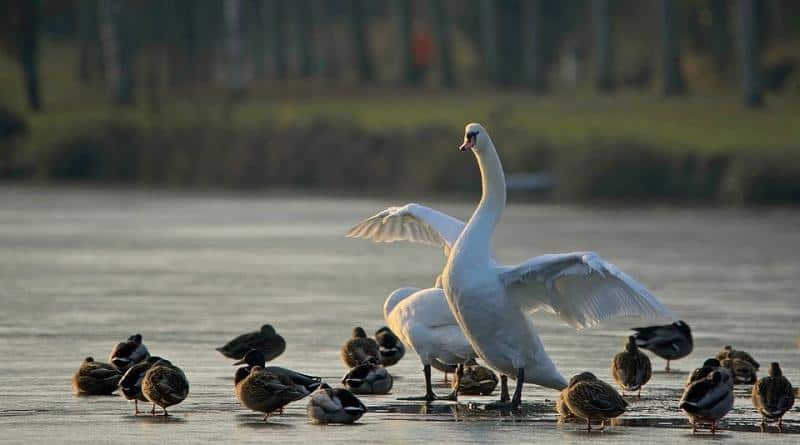 Domesticated duck breeds, like Pekin, do not fly away during the winter months, or really have the ability to fly more than a foot in the air and for a few feet at a single stretch, away from their starting. You can house your chicken and duck flocks together – some folks staunchly maintain this is impossible, that roosters will kill the ducks, but I have been engaging in this practice for years and only had a slight problem one time. My big, mean-to-everyone-but-me leghorn rooster that I refer to as Flock Leader, tried to mildly attack a new duckling, so I hit him broadside with a board to prevent him from harming the duckling further, and never had an attack issue again. I hatch my chickens and ducks at the same time and keep them in the same brooder from day 1, this habit, I believe, makes all the harmonious living inside the same coop, possible. My flocks free range all day and still choose to hang out together in the barn for shade and at the pond – with the ducks swimming and the chicken and roosters getting drinks and pecking for bugs nearby. If the ducks were moved indoors, a baby pool would need to be provided for them so swim in on a regular basis. Duck eggs are larger and richer than a chicken egg and are excellent in cooking and baking recipes. They are the junk yard dog of the poultry world, they will let out a high pitched sound anytime they sense a threat is near and will guard your chicken and duck flocks – to the death if necessary, when battling mink, snakes, raccoons, and other small predators. There is almost no chance an unwanted guest on either two legs or four, will get near your barnyard or home if a flock of guineas are out on patrol. They also will alert the free ranging poultry flock if a hawk or other bird of prey is lurking nearby. Guineas are often referred to as the poor man’s pheasant. They might not provide a lot of meat, or even especially tasty meat, but the protein the birds can provide will help fuel the bodies of your loved ones and mutual assistance group members, if necessary. Pygmy goats and Nigerian dwarf goats are excellent foragers and “browsers” and can feed themselves even on even mediocre and wooded land. Billy goats can be noisy, but not excessively, except when a doe is in heat. 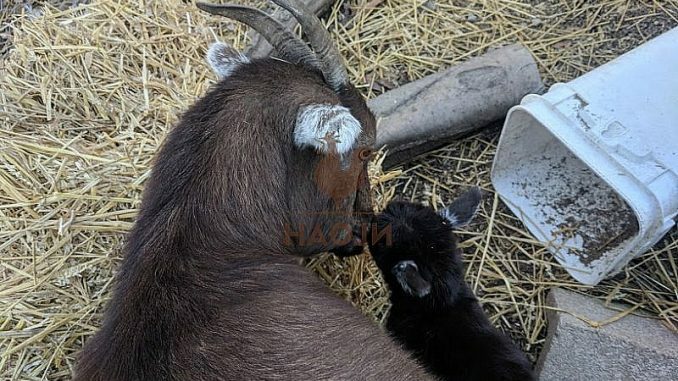 While both goat breeds can be used for meat and dairy, the Nigerian Dwarf goat is most often regarded as a dairy goat and the pygmy goat as a meat goat breed. After kidding (having a baby goat) once, a doe is likely to produce two or three kids with each following litter – increasing the amount of meat and milk available on the prepper compound. If you have a large garage or pole barn, the goats could relocate inside with the flocks during times of threat or at night for safe keeping during a SHTF scenario. They will eat just about anything they can find, and that includes anything inside the garage they can get their mouths near – clean the garage area accordingly before converting it to temporary livestock living quarters. This miniature breed of cattle is easy to handle and does not require a large pasture to roam or to feed themselves. You will not garner as much meat and milk from a Dexter cow as you would a standard bovine, but they cost a lot less to feed, require far less space, and can be placed inside a garage at night to protect them from would be thieves. Dexter cows and bulls can range anywhere from a large dog up to a small Jersey cow. Dexters are a bovine heritage breed and are extremely winter hardy animals. Depending upon the quality and age of the cow, you can expect to get 1 to 2 gallons of raw milk from a Dexter. Horses are not a meat animal, at least not in the United States, but they too can have value on a prepper compound or survival retreat. Once the power grid goes down, horses will once again become not only the primary mode of transportation, they will also be used extensively in farming operations. During the reconstruction phase after a SHTF disaster, a horse and wagon will help you get to the marketplace which will surely develop, and allow you to trade and barter your crop and wares with other survivors. If hauling a wagon, a plow, or pulling timber sounds like a good option for your post-apocalypse career, invest in a pair of Halflingers or small draft horses – and learn how to trim their hooves and shoe them yourself! American pioneers survived without electricity, running water, and grocery stores – and we can too. Before purchasing survival livestock, learn as much as you can about common illnesses in the animals, how to detect the illnesses and injuries, and how to care for them naturally. Keeping your animals healthy and their living areas clean is essential if you want to consume their meat and eggs! You really need to have the chicken run around their coop covered with chicken wire. While we do let ours out to browse, we also lose some every year to eagles, hawks or a marauding dog. The dogs are the worst, they kill one, then go for the next, and the next, and so on.